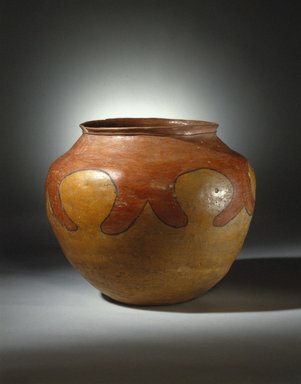 Large drum jar with raptor wings motif around the edge. Goat skin would have been stretched across the top and it beaten with a drum hoop, a sapling curved and tied to form a hoop. Collector, Stewart Culin, noted that this drum was used when girls ground corn.